Previously called Bechuanaland, a British protectorate until 1961, Botswana is completely land-locked, bordered by Zambia, Zimbabwe, Namibia and South Africa. Botswana is the oldest democracy in Africa. Inhabited originally by the San tribe, they were followed by the Tswana people, who account for half the population today. Batswana, the country’s people, alludes to the national as opposed to the ethnic origin. English is the most spoken language. Relatively corruption-free, the country has a good human rights record. Situated in south-central Africa, and twice the size of Arizona, USA, the country is mostly near-desert, the Kalahari covering the western part of the country in contrast to the east, which is hilly with salt lakes in the northern part. With a population of just over 2-million people, this sparsely populated country has large areas of bush, and upmarket game reserves are a major source of income. 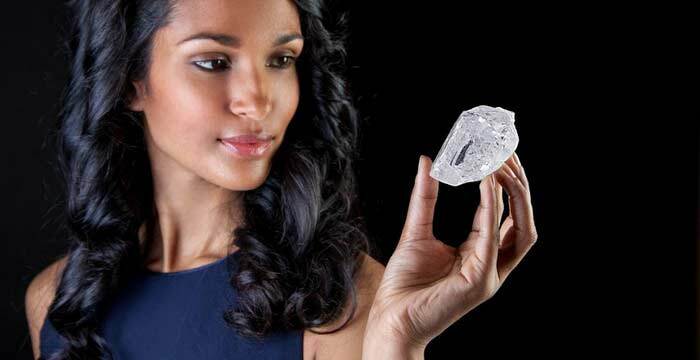 As the largest diamond producer in the world, the trade had enabled the country to achieve middle-income status.